Discussion in 'Off Topic' started by Oakleynerd, 7/4/11. do you know how much they cost? Yeah they look like a combo of the new Eyepatch and Dispatch. I bought mine in Vegas like 3-4 years ago so I have no idea what I paid for them, but they are pretty chaep now. does Oakley produced all of the Fox glasses?!? the frame is not o-matter? Descriptions say the frame is O-Matter. 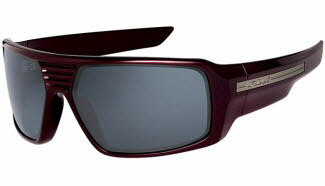 I thought everything about them is Oakley except the name/branding.